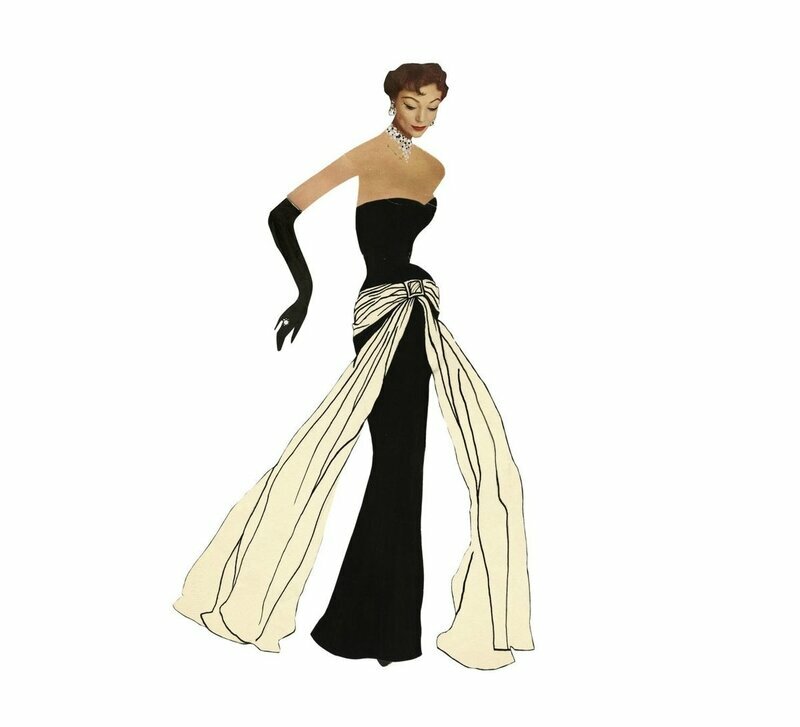 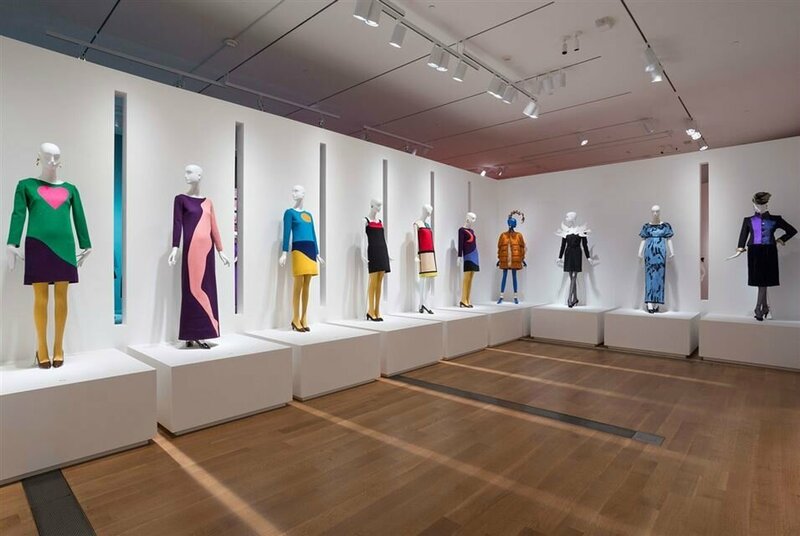 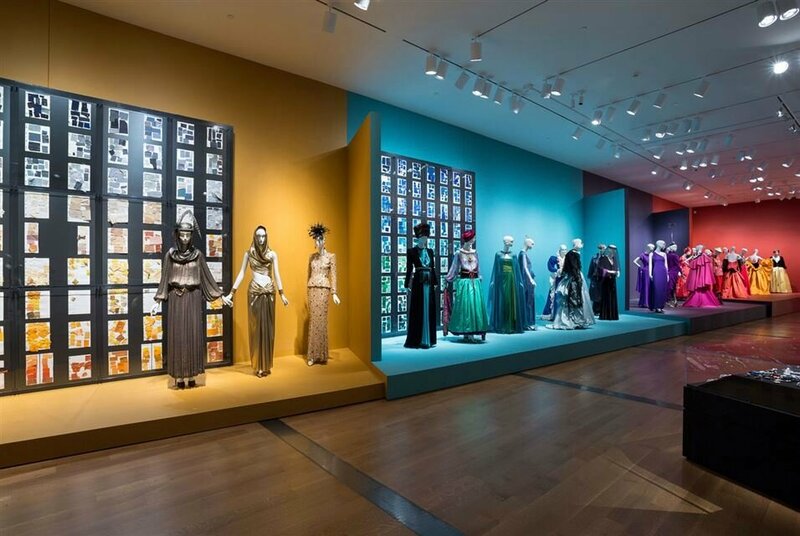 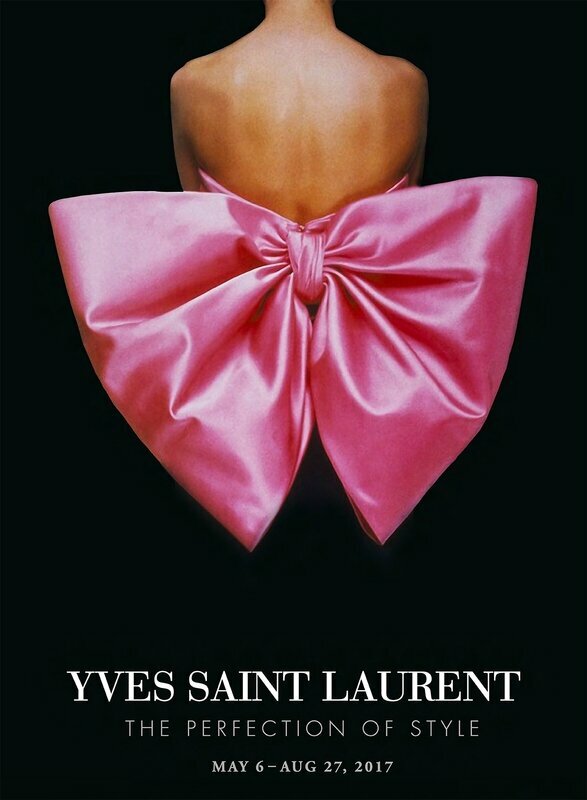 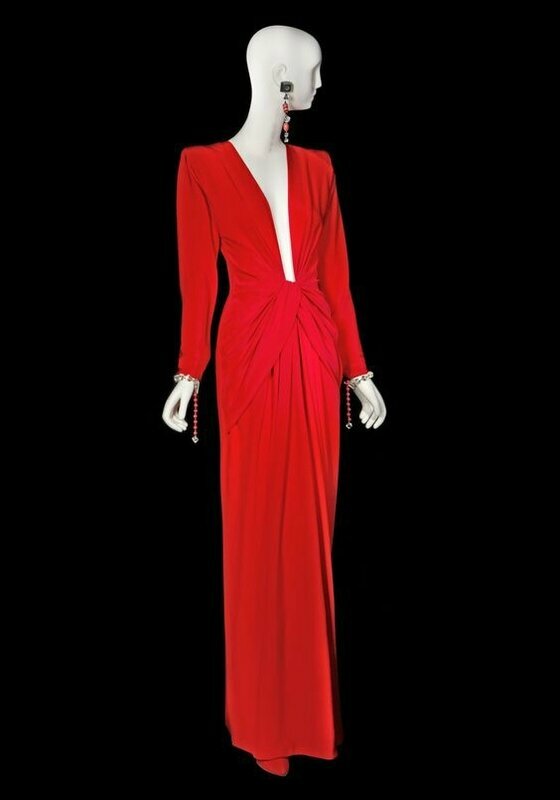 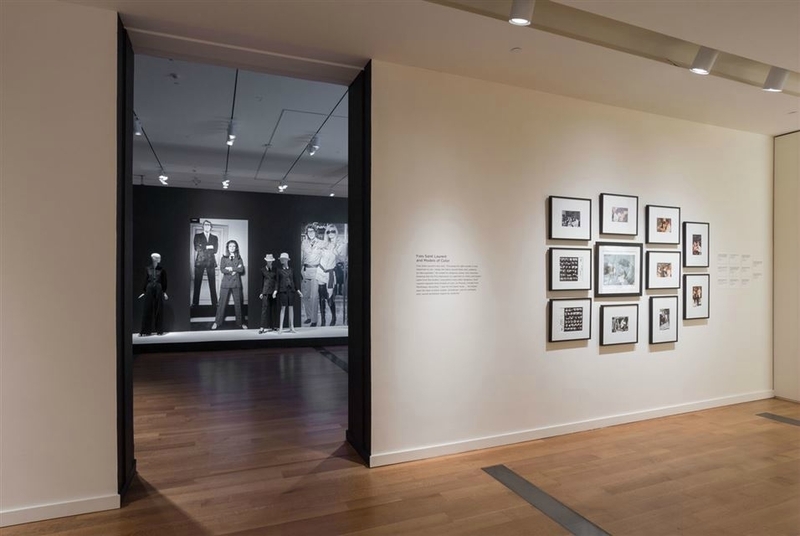 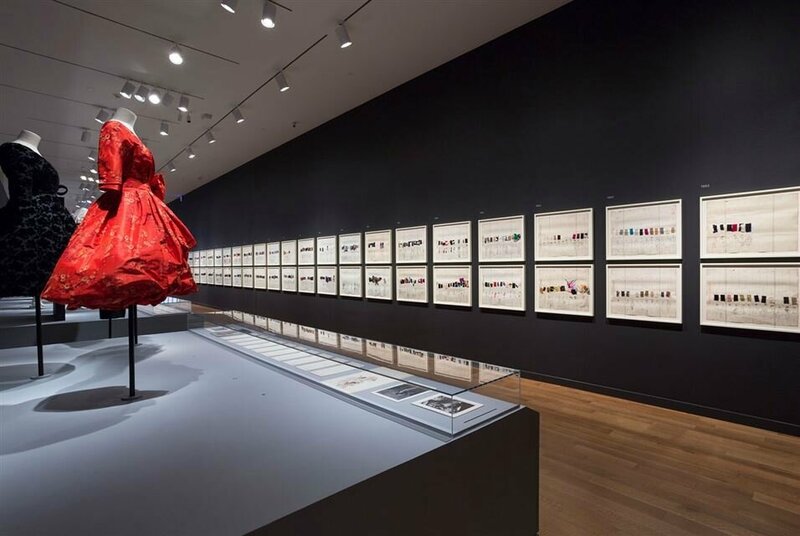 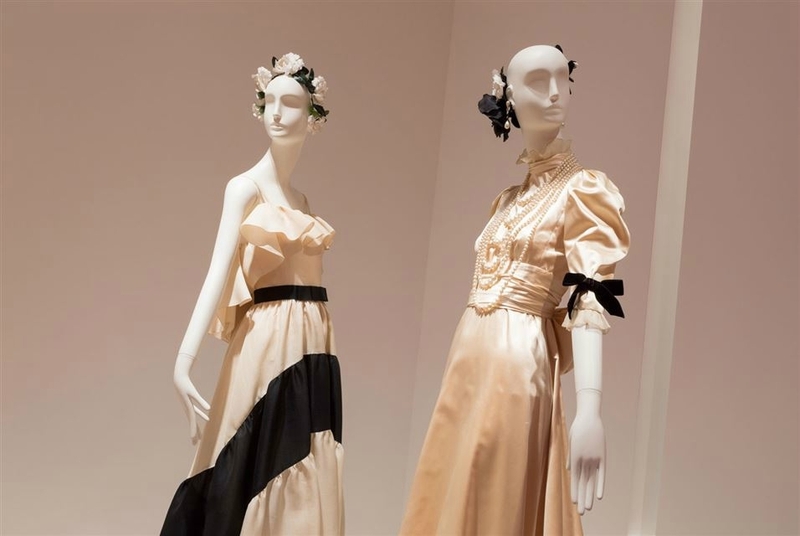 RICHMOND, VA.- The fast-paced sights and sounds of the fashion runway have come to the Virginia Museum of Fine Arts this spring with Yves Saint Laurent: The Perfection of Style, a multifaceted exhibition that opened May 6, and continues through August 27, 2017. Drawn from the unparalleled collection of the Paris-based Fondation Pierre Bergé – Yves Saint Laurent and other private collections, this breathtaking exhibition offers an intimate and comprehensive look at the lifetime achievement of Saint Laurent, one of history’s most radical and influential fashion designers. 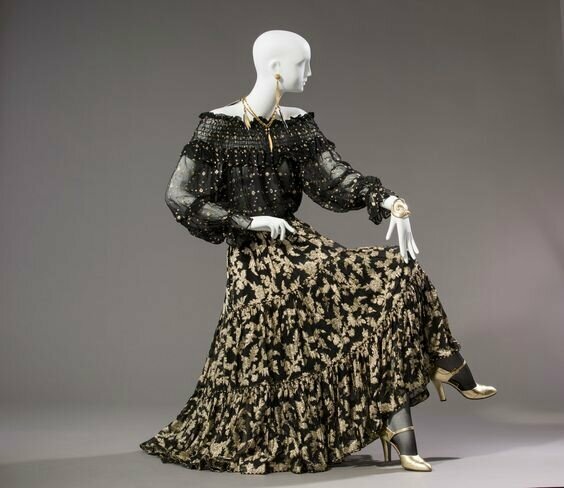 Featuring 100 examples of haute couture and ready-to-wear garments–some never shown publicly before–this exhibition reveals Saint Laurent’s artistic genius, as well as his working process, and the sources of his design inspiration. 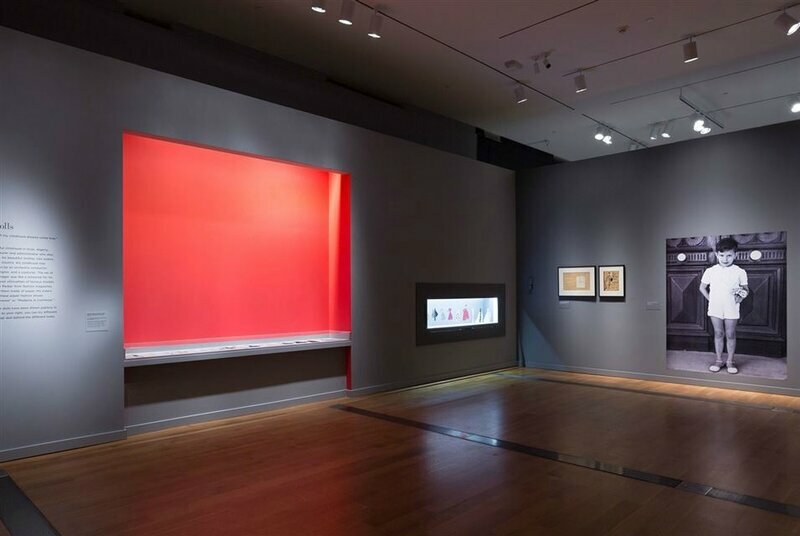 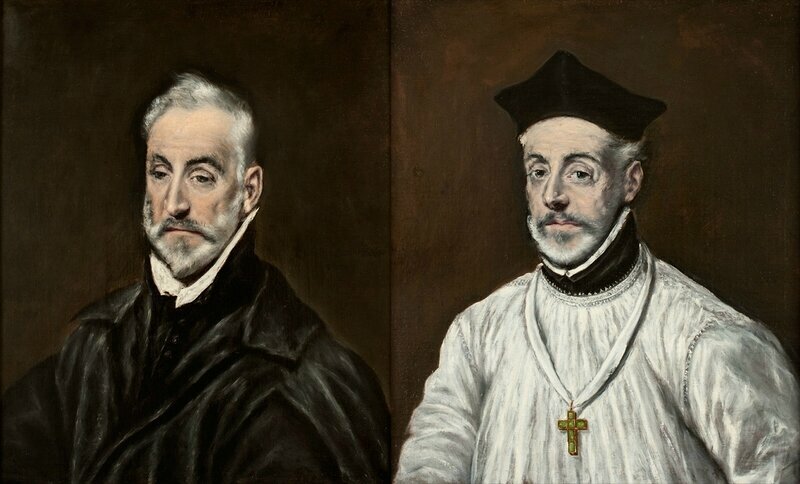 VMFA is the only East Coast venue for the exhibition, which has been organized by the Seattle Art Museum in partnership with the Paris-based Fondation. 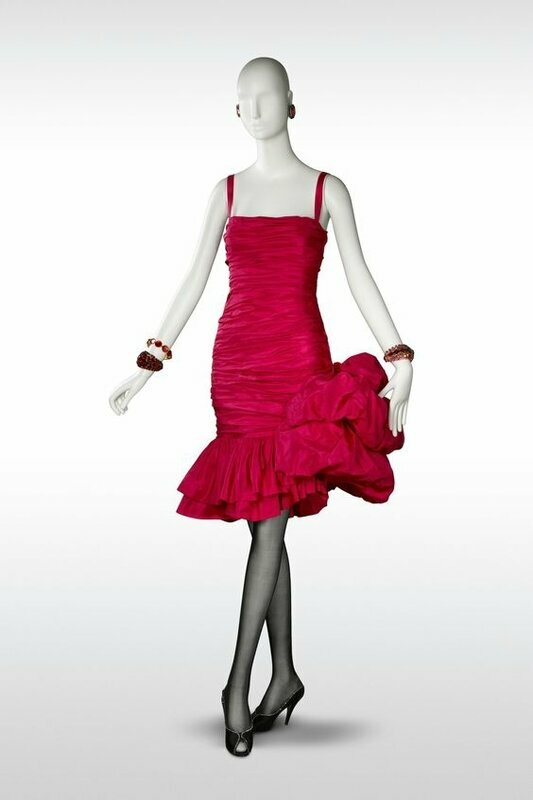 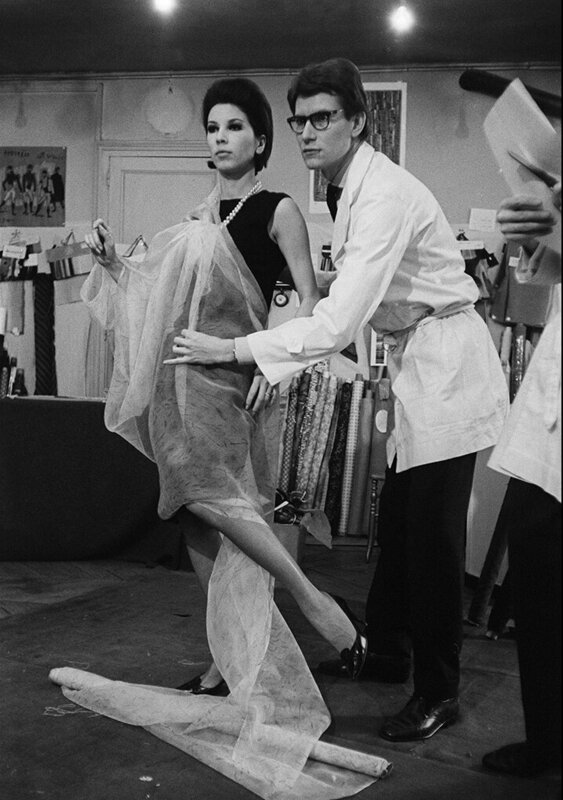 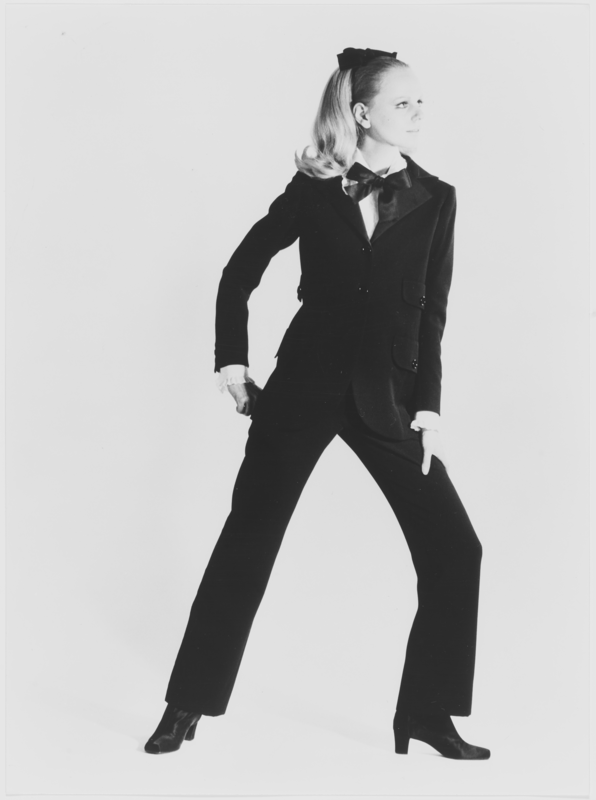 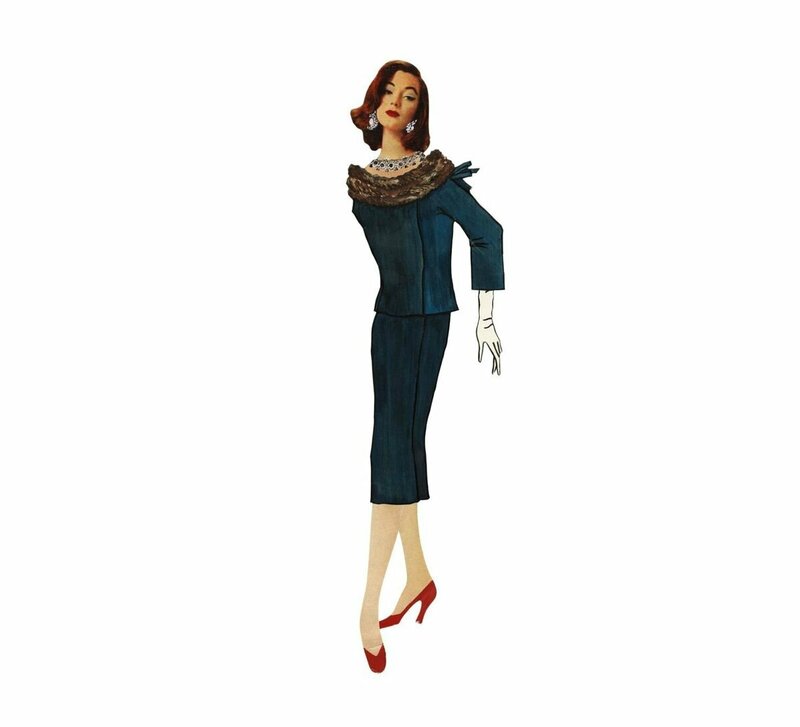 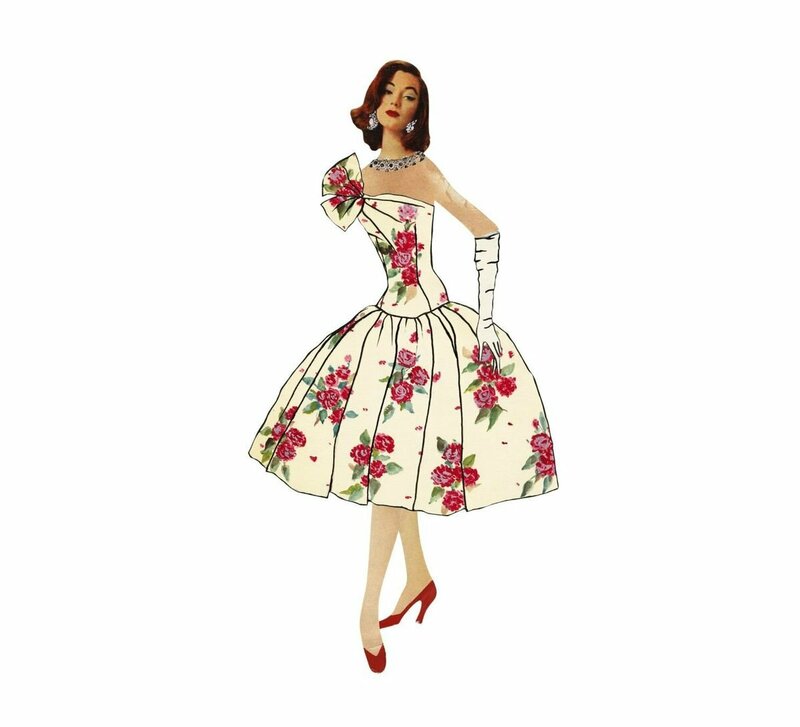 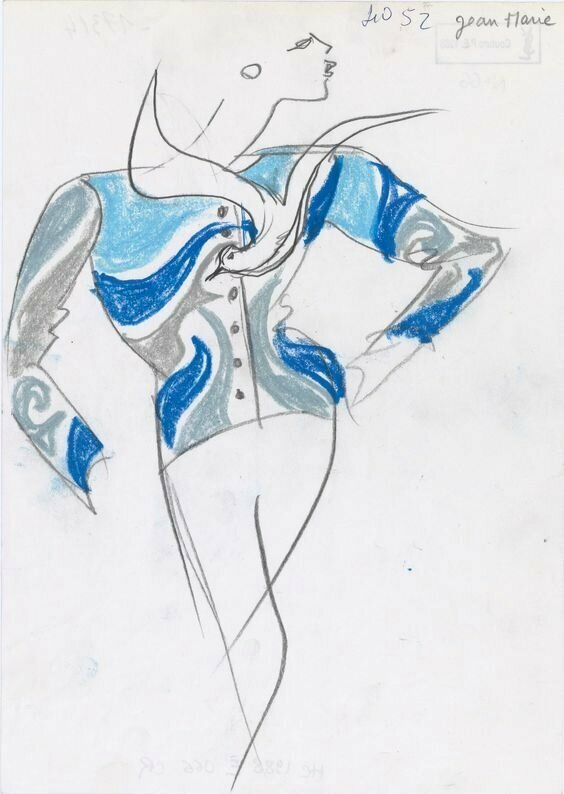 In addition to haute couture ensembles and ready-to-wear clothing, Yves Saint Laurent: The Perfection of Style includes costume jewelry and other accessories, photographs, drawings, films, and video from the Fondation’s vast archive. 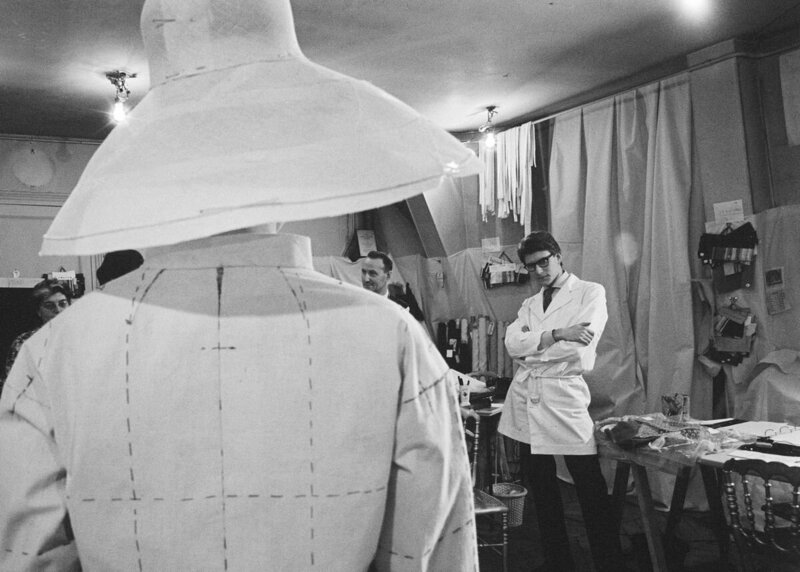 The exhibition traces the trajectory of Saint Laurent’s style as it developed throughout the course of his career, beginning in 1953 with the “Paper Doll Couture House” that he created as a teenager, which is being shown for the first time in the United States. 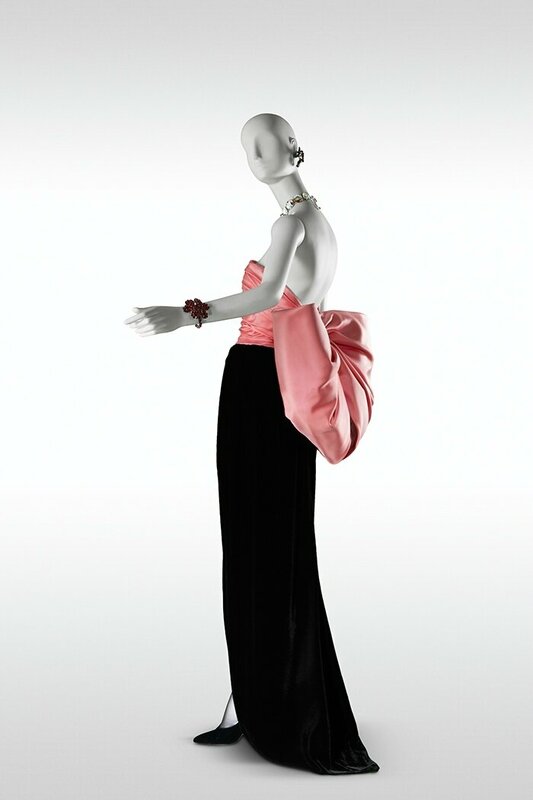 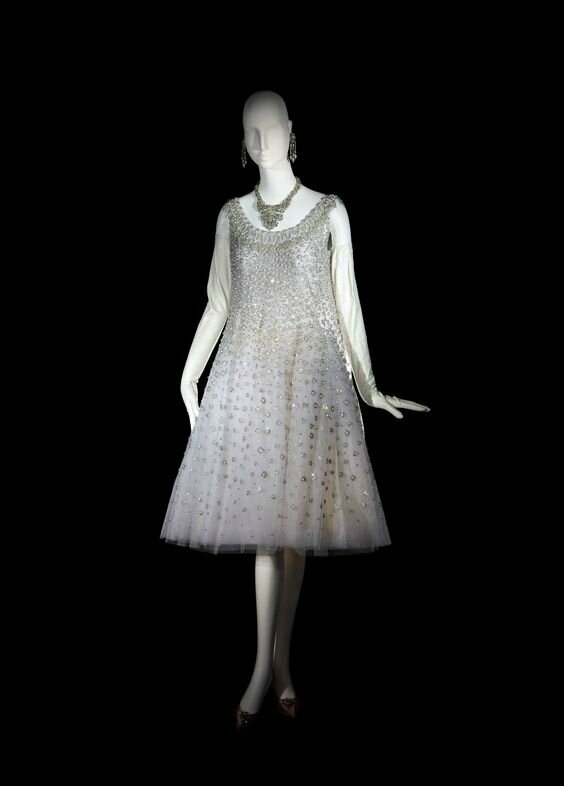 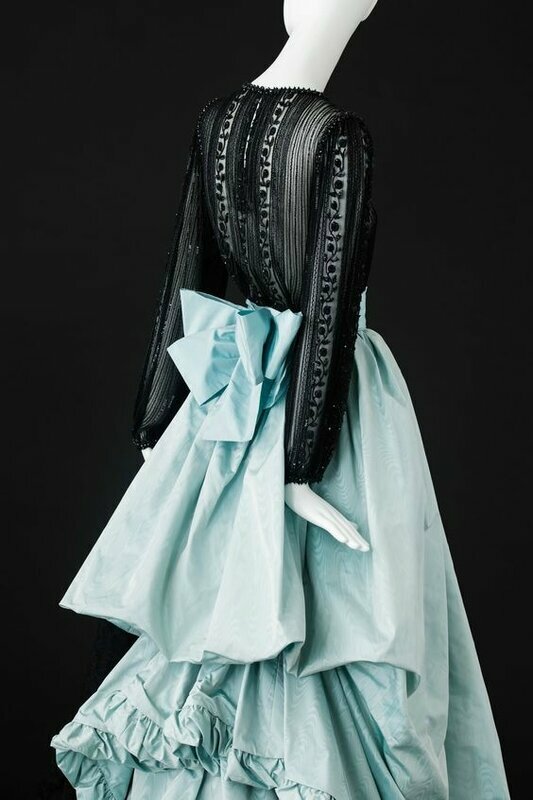 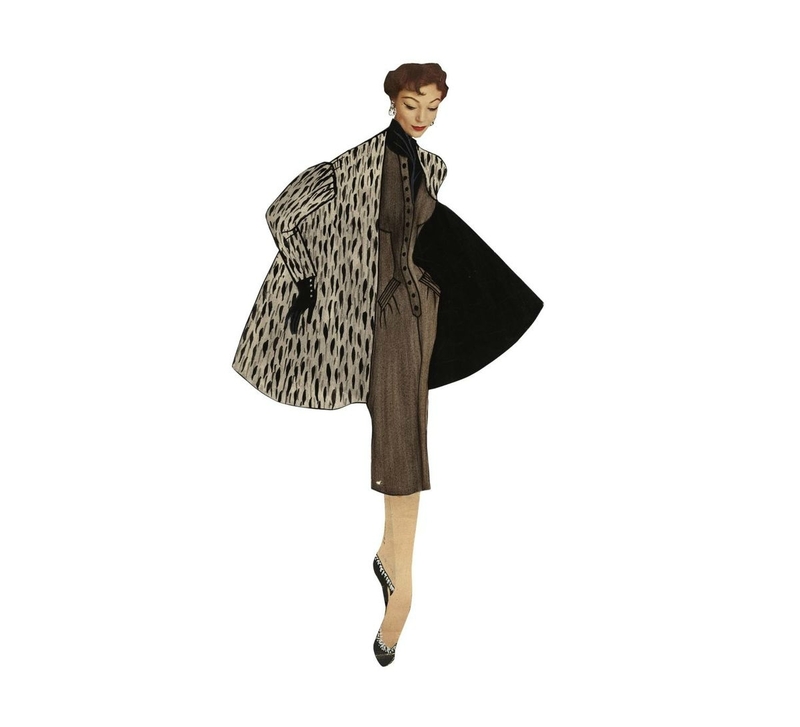 Ensembles early in the exhibition focus on his formative years at the House of Dior, including an example of a short evening dress from his successful “Trapeze” collection, which marked his debut as a fashion designer when it was shown in Paris in 1958. 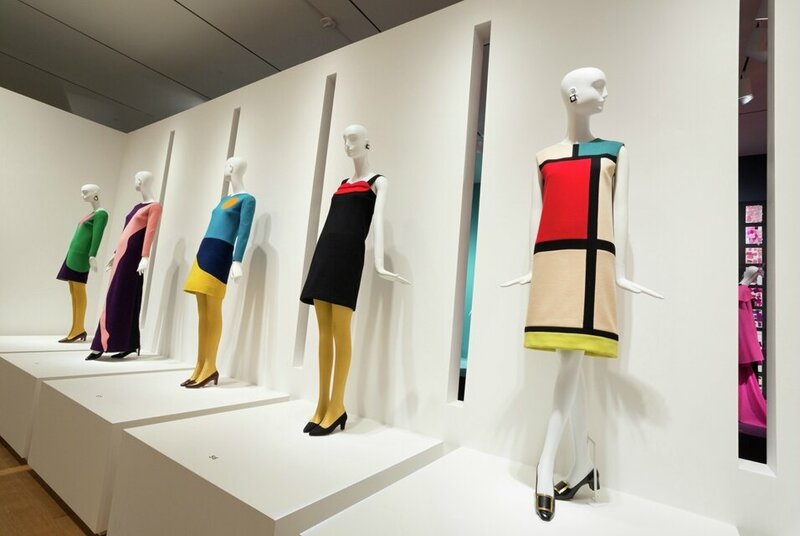 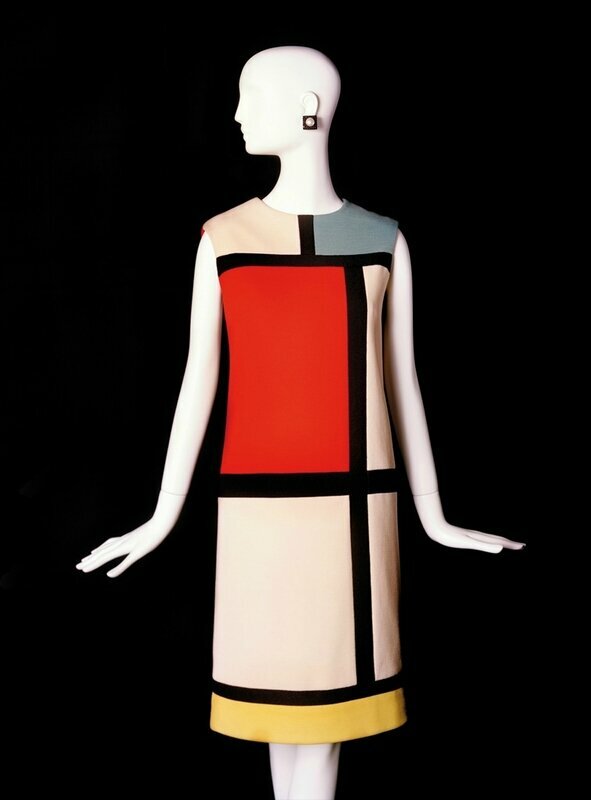 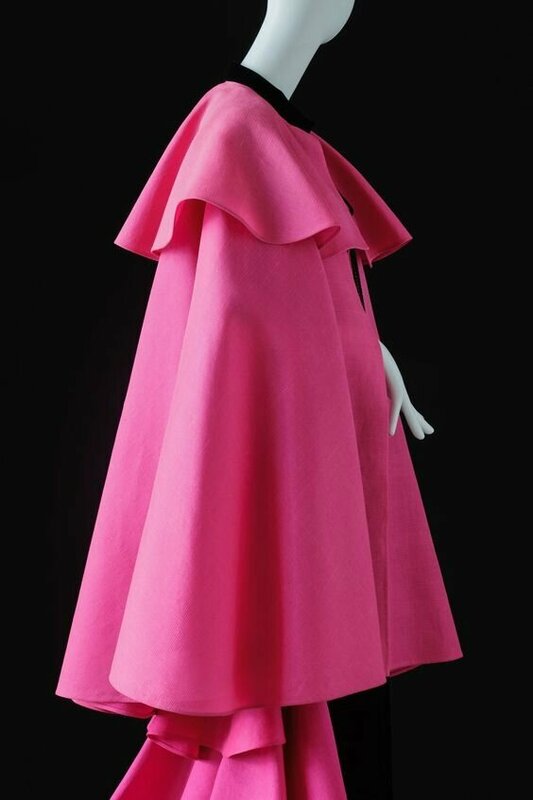 The exhibition continues with his groundbreaking designs of the 1960s, which revolutionized the fashion industry. 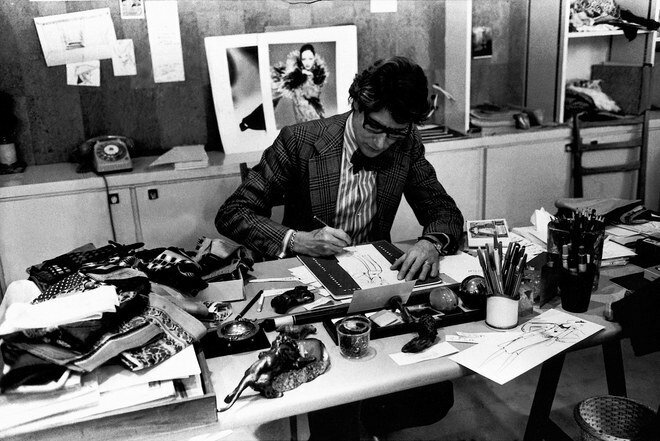 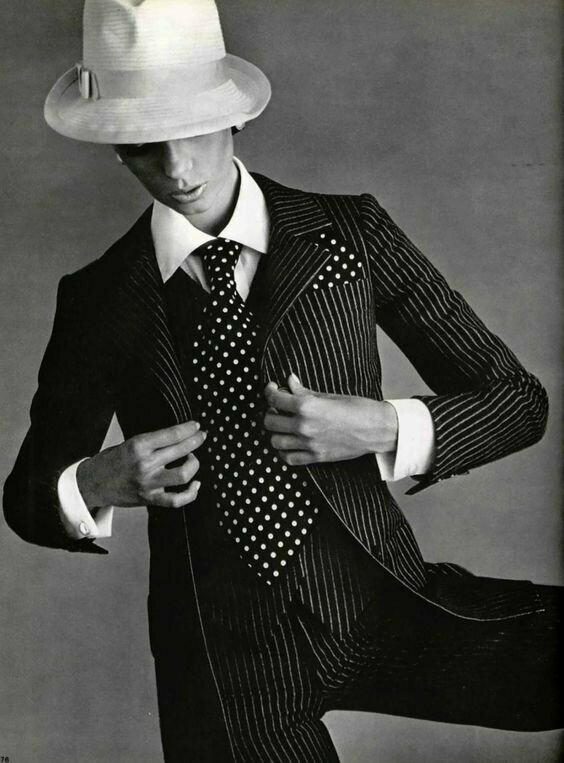 During this decade, Saint Laurent liberated modern women from the constraints of strict gender codes by creating clothing—such as the safari jacket, the pantsuit, and the tuxedo—which he borrowed from the male wardrobe. 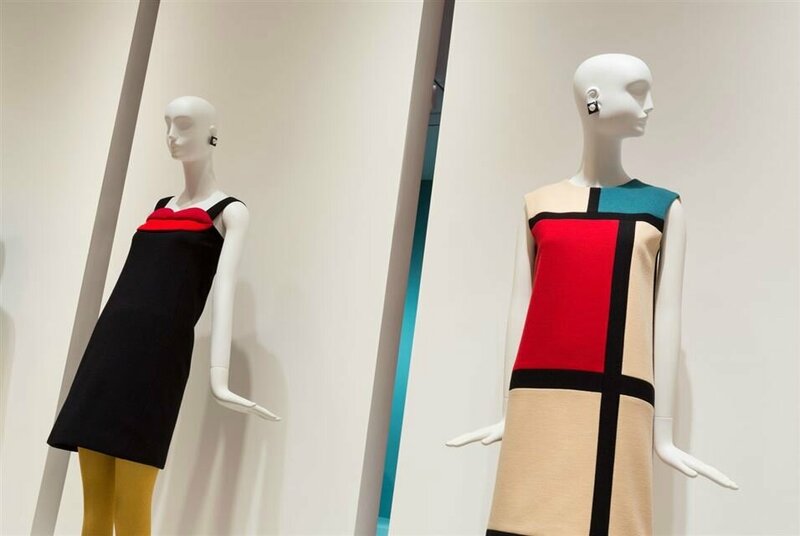 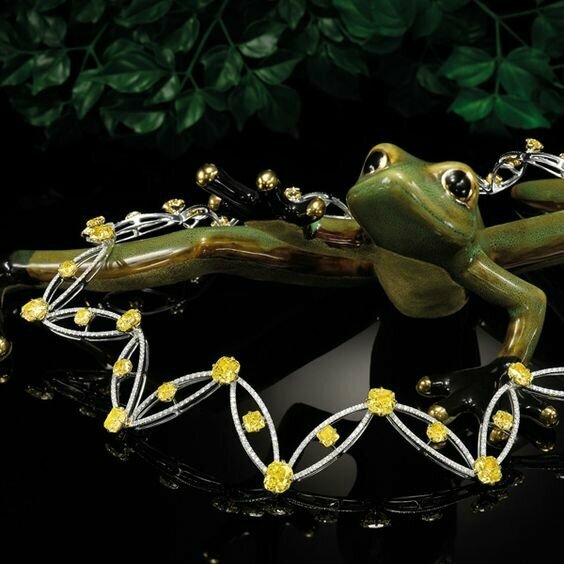 Visitors also will see how Saint Laurent was inspired by the work of other artists, including Piet Mondrian and Tom Wesselmann, as well as African art and ancient Greek vase painting. 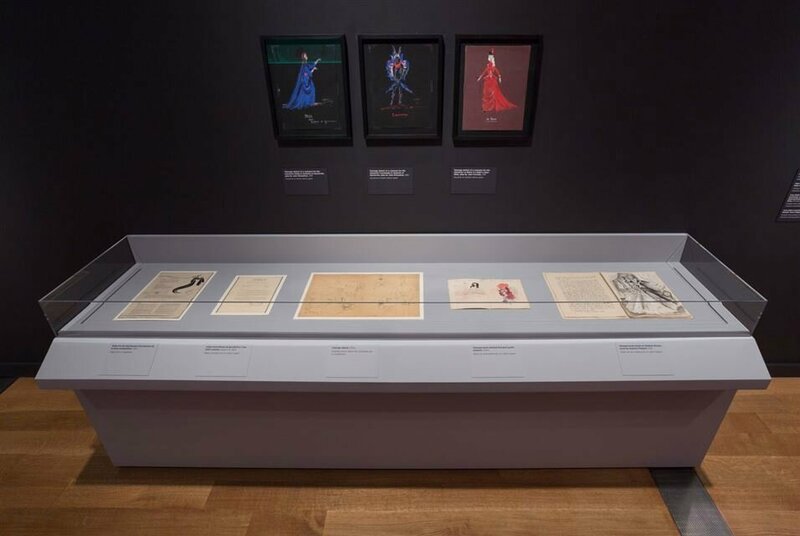 Another key element of this presentation is the inclusion of production documents that offer a rare behind-the-scenes glimpse into the creative workings of the Yves Saint Laurent fashion house and the private life of the couturier. 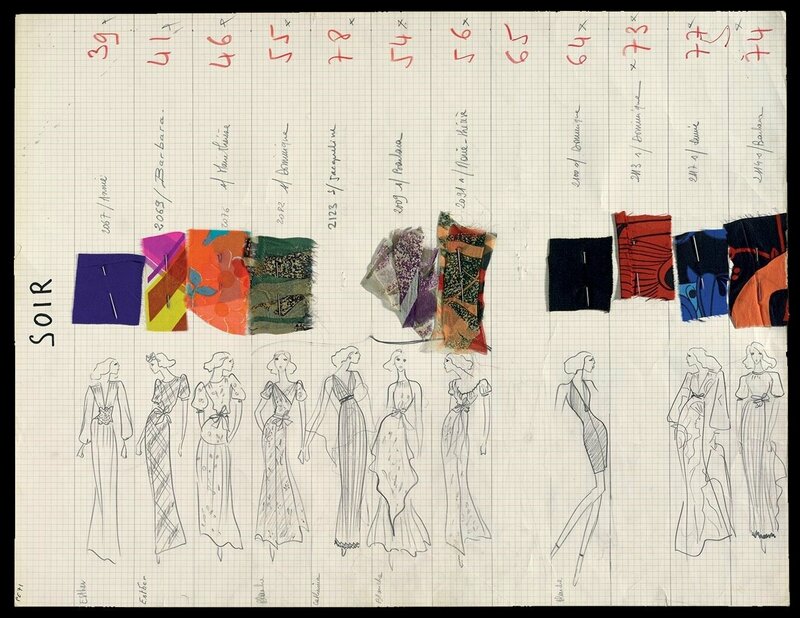 Collection boards containing sketches and color swatches from 1962 to 2002 document every Saint Laurent haute couture show, while a room of “toiles”—the forms ateliers use to create as first draft of couture garments—offers a unique look into the various stages of production and fitting before the final garment was realized. 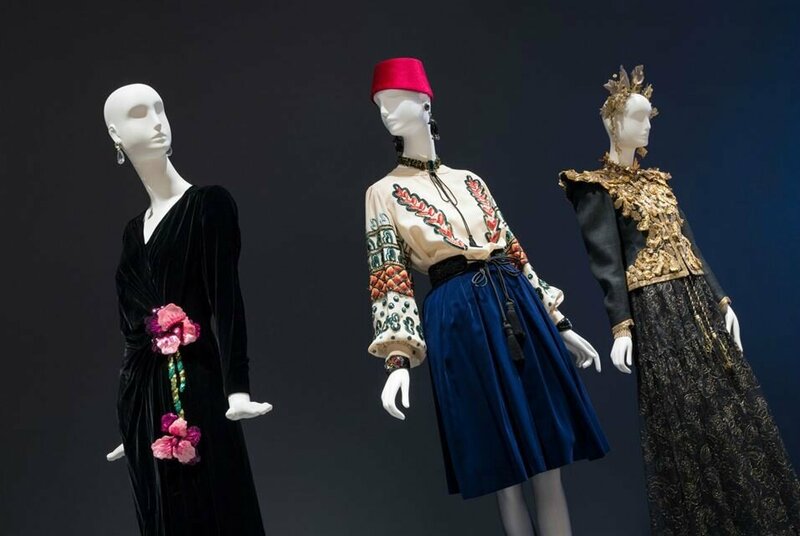 The exhibition concludes in an explosion of color with a procession of eveningwear, including garments in black silk, blue-green chiffon, and white damask, which date from the early 1970s to 2002, when Saint Laurent officially retired with his final runway collection. 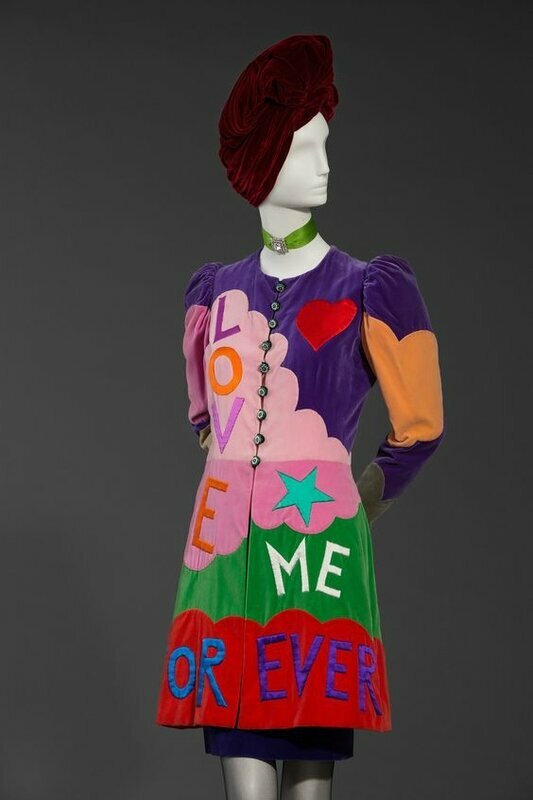 Yves Saint Laurent: The Perfection of Style is curated by Florence Müller, the Denver Art Museum’s Avenir Foundation Curator of Textile Art and Curator of Fashion, in collaboration with Chiyo Ishikawa, Seattle Art Museum’s Deputy Director of Art and Curator of European Painting and Sculpture. 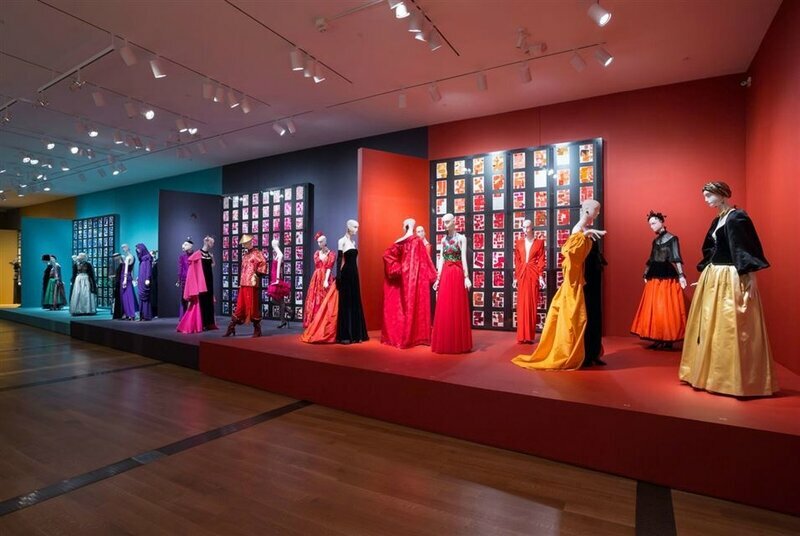 Barry Shifman, VMFA’s Sydney and Frances Lewis Family Curator of Decorative Arts, 1890 to the present, is the organizing curator for VMFA. 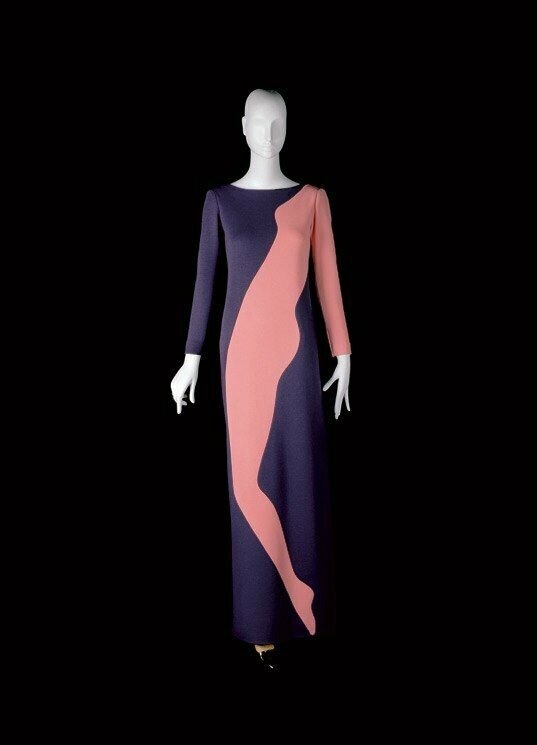 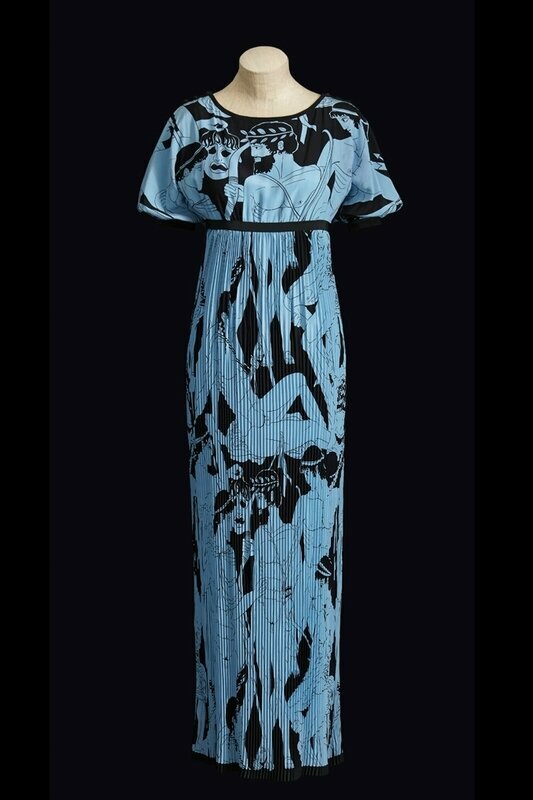 Rive Gauche evening ensemble, Fall 1977. 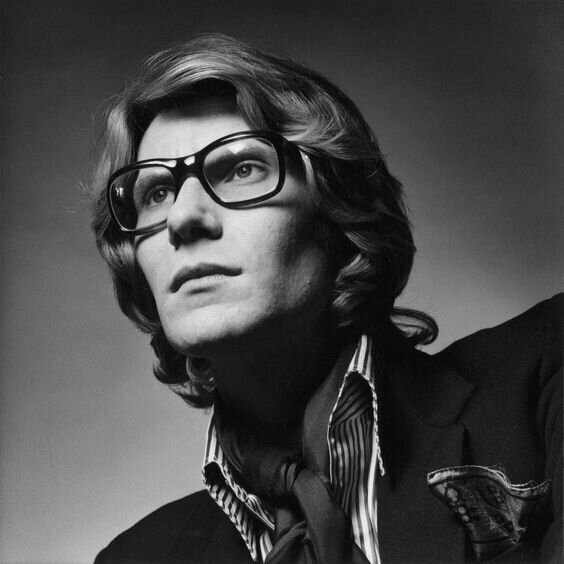 Photo: © Fondation Pierre Bergé – Yves Saint Laurent, Paris/Sophie Carre.